Zaanstad Zuid includes the area's Hembrugterrein, Achtersluispolder and Poelenburg. The total housing programme aims at building about 10.000 dwellings. 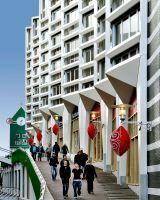 The 'Achtersluispolder' is doing well: a lot of investments are made in both the economic development and the future residential function. In the MAAK.Zaanstad (make Zaanstad) programme (June 2016) we have decided to combine living and working in the 'Achtersluis-polder'. 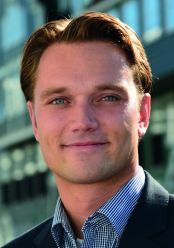 With this development we are working towards a good connection with the municipality of Amsterdam. At the eastside of Poelenburg new development will be built. Neighbours, future residents and the municipality define together how the expansion will be established. Before the summer of 2017 the municipality, in cooperation with the inhabitants, entrepreneurs and future residents, described the fundamental ideas for the development. What kind of character and atmosphere the neighbourhood has, what it looks like and how it will be used, what kind of houses must be built: all of this is included in the starting points. The Hembrugterrein was a military zone for more than 100 years. The owner of the terrain is the Central Government Real Estate Agency, this agency uses property to achieve the aims of the central government, in cooperation with local parties and by taking their interests into account. The Hembrugterrain is situated in the southern part of Zaanstad, at the Noordzeekanaal (North Sea Canal) and river de Zaan. It is a unique place with a rich cultural history. There are a lot of monuments and a beautiful forest in this area. Since 2012 more and more is happening at the Hembrugterrain. Monuments are being renovated, entrepreneurs establish their companies here and all kinds of events are taking place. This means that a new phase has started. Our objective is to develop the terrain into a mixed use area where people can live, work and relax. The city of Zaanstad is a part of the Amsterdam Metropolitan Area. The region is functioning as a magnet because of its diverse pallet of different living environments which varies from urban core to rural periphery. Therefore there is a significant pressure in the housing market. 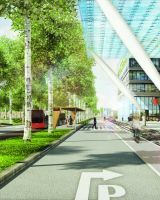 To meet the additional demand for housing the city of Zaanstad has to build a significant part of the 300.000 new houses which are needed between now and 2040 in the AMA. We welcome partners to realize these ambitions. 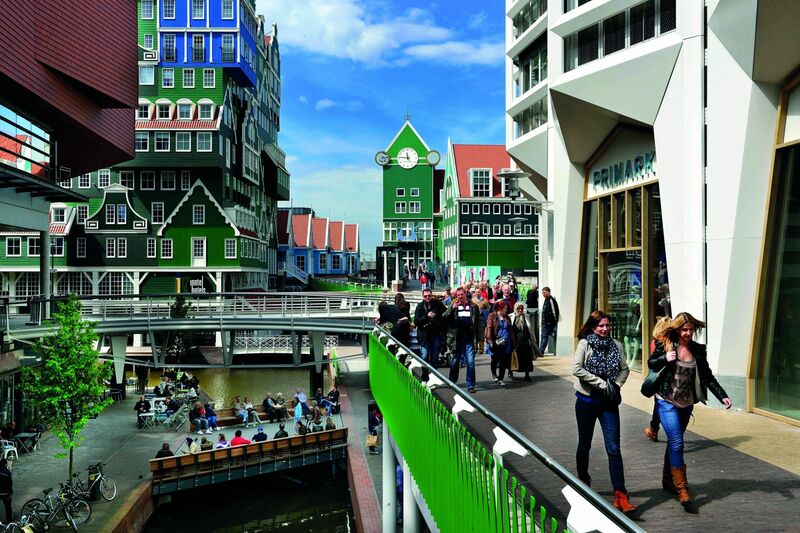 - New city center of Zaandam: Over a 100 acres, 700 million of investments in a new canal, offices, a cinema, shops and about 2,000 new houses. - Amsterdam-ZaanIJ Waterfront: Miles and miles of waterfront connect the river Zaan with the river IJ to downtown Amsterdam. This is a huge urban development project with numerous historical industrial sites where we develop about 7,000 new housing units. Zaanstad Centrum encloses the area's centre west, centre east and the station area. The total housing programme aims at building around 3.500 dwellings extra. Port of Flevokust, just north of the city of Lelystad, is an multimodal inland port with a transhipment quay and industrial estate. This new industrial port will accommodate goods import and export to and from the major Benelux seaports. 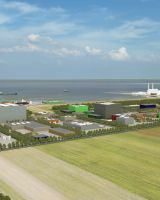 In addition to connecting various transport modalities, the eco-friendly Port of Flevokust will provide space for the enrichment and reuse of products in a circular economy. A breakwater in front of the quay will allow the port to fully function up to wind force 7. The flow of containers from and to Dutch sea harbours will increase in the next decades, with more and more being transported by inland waterway to the catchment area. Inland ships travel to and from Flevokust Haven to Rotterdam, Amsterdam and Antwerpen. The focus increasingly lies on lines from Antwerp and the German catchment area. The challenge is to use these connections in such a way that the expected streams can be forwarded easily and quickly.